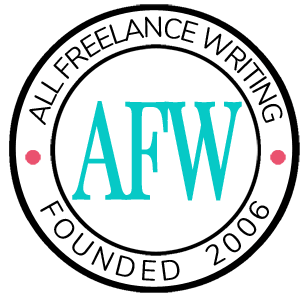 Writing is actually one of the easier parts of freelancing writing. Maybe it's like that with all craft-turned-businesses. The tougher parts of being a professional freelance writer can be things like finding clients, having a steady stream of ideas, and managing the finances. Because I’m no fan of mulling over finances for hours, there are some things I do to make this area of freelancing more productive. Even if it’s a few minutes everyday, schedule time for finances on your calendar just as you would for any other business-related task. You can do it one a week, twice a month, or once a month, just make sure you schedule it. With time carved out for finances, you don’t have to stress that you won’t have time to deal with your finance or that you’re prioritizing work over finances. A to-do list can keep you focused during that time you're working on your finances. Some things will always remain on the list, like send invoices, follow up on unpaid invoices, or update your budget. Other things may only need to be done periodically, like sending estimated tax payment, transferring money to savings, or paying your web host. One of the great reasons for having a budget – personal and business – is that you can refer to it with any spending questions. You don’t have to make decisions on the fly or try to remember all the details. You should have a rate schedule and payment policy to address questions about how much, how, and when you should be paid. If you’re stressing over these types of decisions, refer back to your written plan. And, if you find yourself overthinking the same question time after time, make a plan for that issue and write it down. Who says you have to do it all yourself? It may be a better use of your resources to hire an assistant, accountant, or bookkeeper to help with parts of your financial management. For example, an assistant can prepare and send out your invoices or follow up with clients who haven’t paid. Because paying a professional can take a good chuck of your income, you can alternatively use software to take some of the work off your plate. Freshbooks, for example, is online accounting software that you can use to track your expenses and invoice your clients. Or, say you want to track your expenses better. Mint.com is online software that can make that job easier. The first of Stephen Covey’s seven suggested habits for people who want to be highly effective is to be proactive. Do things before you have to do them rather than reacting to the consequences of not having been proactive. Don’t wait until tax time to compile a list of business expenses – it will take you much longer and some may be forgotten. Keep track throughout the year and it’ll be much easier to deduct your expenses when tax time comes around. Many of the general concepts of being productive, like being organized, can apply specifically to managing your finances. Don't avoid looking at your money because it's intimidating. Face it head on. Write down the questions you have and use your time for financial planning to research the answers. I always list down the things I should be checking and dealing when it comes to my finances. I am no expert on it so there are times where I ask for help.